Ever wondered how you can more efficiently share files, data and other information with customers, partners and employees? Community Cloud is an online social platform that allows you to do just that. Quickly create and deploy a customized, branded and mobile-optimized portal and build closer business relationships, provide better service, and reduce friction and delays when providing access to important information. Track partner performance and share reports to help them keep track of their sales goals. Share leads, pricing, inventory and more. Integrate your e-commerce platform and create opportunities for your customers to research, stay up-to-date on new products and buy, all within one branded engaging environment. 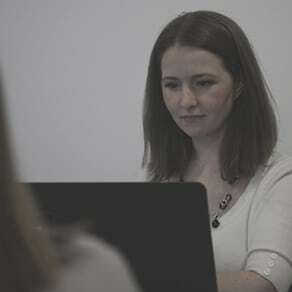 Make collaboration and discussions easy and structured. Share files and allow employees access from any location, anytime. Whether we’re putting together a single Community or a group of Communities with third-party integrations, we can get you up and running quickly and ready to get the most out of it. At Nubik, we’re always looking for ways to enhance and extend your Salesforce platform. The Community Cloud is one way to bring teams and customers together. It’s in our workplace culture and we live and breathe this philosophy. We know it works for us. If you want to see engagement and sales grow, as well as foster a workplace that values innovation, we’d love to help you join the Community. 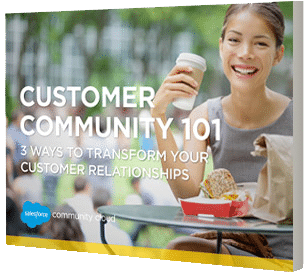 Download your free eBook about 3 Ways to Transform Your Customer Relationships with Community Cloud.